Are you on the lookout for an affordable yet charming means to decorate the windows of your home, then Roman Blinds is the best solution for you. These are pleasant to look and also not much expensive. No matter you are redecorating the existing home or decorating a new one, using custom roman blinds will be a smart choice for reasons good. Your home is vital to you and naturally you want it in appearing pleasing to yourself, your family, your neighbors as well as friends. In fact it happens that often times we purchase blinds within our budget yet compromise to get the right fit for the window as a result the window is decoratively challenged as well as just plain. But with roman blinds in fact, you can find good reasons of installing it in your home. It will not be an exaggeration to state that there cannot be a better way to inject mesmerizingly colorful vibes into your home than using trendy Roman Blinds. What is so special about Roman Blinds? Have an inside-outside look: By using Roman Blinds that are custom made, you can choose from a wide range of fabrics. On the one hand, there are fabrics which you can match with the interior design either from the color scheme or carpet and this can vary in each room and on the other hand the exterior or outside of the blinds indeed can be chosen in a white or neutral shade to complement the home’s exterior. It is simple to get it custom made: After determining the style of decorator fabric as well as the color it is simple in getting it custom made. Simply order it to your exact size. They fit: Majority of the blinds which you purchase in the shop is of a specific width and length. There are some varieties which can be cut as per your size, but as far as length is concerned, you will have to shorten it yourself which will be a pain. So choosing custom roman blinds are worth it because you will not require mounting these on the window’s exterior that always looks tacky yet can mount it inside the frame where it appears awesome. Can be created in different styles: Roman blinds made of cascading fabric is a good choice. It will offer the right fit for any room décor thereby allowing distinction. This fabric will also help in softening the room to a large extent. You can choose amid fabrics having patterns or blinds in soft colors as per your taste. Always choose one that fits with your décor and provides a pleasing style instead of something which will draw the eye balls away continually from the remaining of the room. Easy to clean: Venetian or horizontal mini blind are difficult to clean and maintain and if you have used it you will be familiar with this. On the contrary roman blinds that are custom made are simple to clean. All you need is a vacuum brush to clean it and you are done. Enjoy complete privacy: The good news is, now you can get customized roman blinds in the option of top/down and bottom/up. This variety will allow plenty of light in the room and let you have your privacy. So with so much of benefits and much more, it is indeed wise to invest in a custom made roman blind. If you wish in making your neighbor and friends envy, then install roman blinds in your home right away. Be rest assured your family will love it and will want in showing it off to others and thereby earn the reputation of being the neighborhood decorator. Last but not the least roman blinds actually offer the ability of creating any type of mood or look which you desire along with showing off your individual personal style. As a homeowner what more can you ask for? Simply invest in the best roman blinds and enjoy untold benefits. 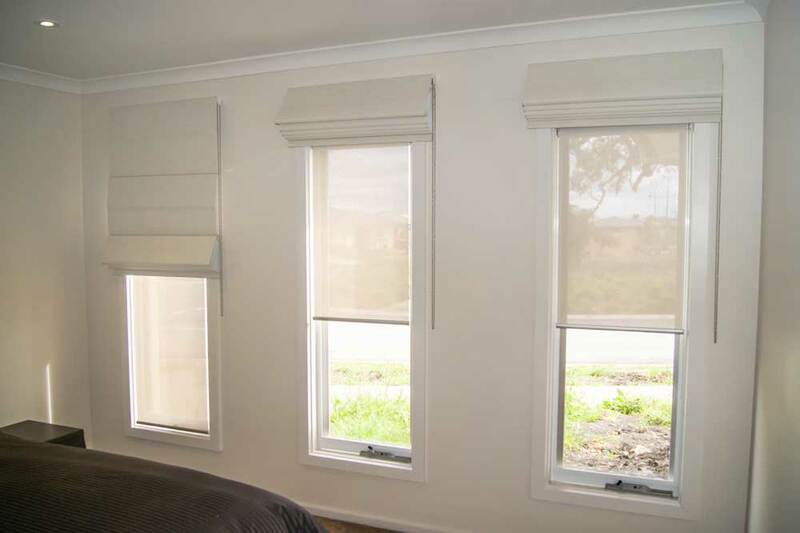 Today such blinds are easily available in Melbourne in different styles, fabrics and budget to help you choose one that meets your needs best. With roman blinds you will never regret on your decision and that’s a promise.